Check out our stunning Rolls Royce Phantom Limousine! 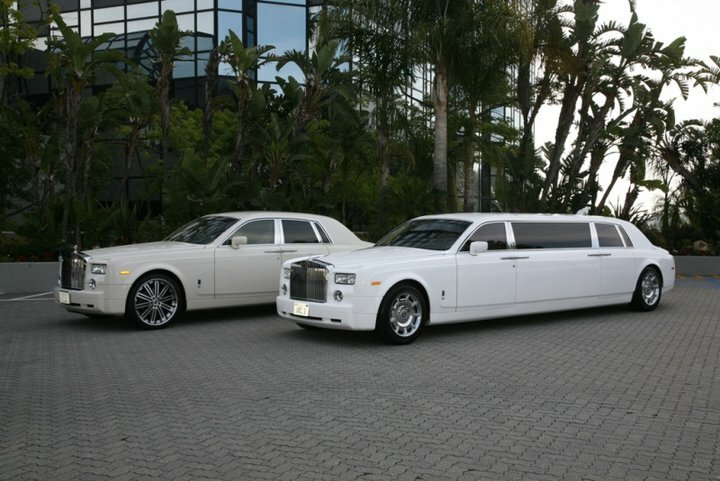 Rolls Royce Limo Rentals in Los Angeles What could be more elegant and spectacular than arriving to an event or getting around town in a Rolls Royce Phantom limousine? No other luxury vehicle can compare to a Phantom when it comes to style and amazing perfection. Why a Rolls Royce Phantom limousine? The Phantom is a classic Rolls Royce created with a powerful stance, traditional proportions and unrivaled state-of-the-art technology. The ultimate modern luxury motor car, you will never forget this luxury car rental experience forever. Every Rolls Royce Phantom is a work of art. It is a luxury car hand-built by experts and perfectionists. Every single detail on this vehicle matters: the five coats of paint on its sleek bodyshell, the hand-stitched leatherwork, all make the Rolls Royce Phantom a truly one-of-a-kind luxurious experience. What makes limousine rentals special? Travel in style Limousine rentals are perfect for corporate travel and business travel. It is your perfect vehicle to take you from your office to a business meeting or from a business meeting to a client lunch. You will look absolutely stylish, classy and professional when you book a luxury vehicle such as the Phantom as your corporate travel car. The perfect airport transfer car Whether you are in Los Angeles for business or for pleasure, you deserve the most luxurious ride from the airport to your hotel. Call it your “Welcome to LA” ride, the Phantom will be your classy yet efficient transfer ride since it has all the features that you will need as you rest your weary soul. The ride may be short from the airport to your hotel or rental apartment but you definitely deserve all the luxurious features of the Phantom such as • Power sun roof • Upgraded leather upholstery • Rear-seat DVD entertainment system • 26-piece speaker system • 8-disc CD changer • 18- way power front seats • 16 – way power rear seats • Heated and cooled cup holders • Rear seat tables • Power closing doors • Wireless headphones • iPod adapters • Refrigerators • Air conditioners with 5-zone climate controls The envy when it comes to leisure transfers A night out of town with friends, a classy bachelorette party or an all-girls night out calls for nothing but the best luxury vehicle for leisure transfers. The Rolls Royce Phantom limo is definitely the joy ride everyone is waiting for. And you won’t just arrive at the scene in a shiny limo ride; you will be at the scene with the most luxurious and expensive limousine transport vehicle that anyone has ever seen! How do you book a Rolls Royce Phantom limo in Los Angeles? Book your Rolls Royce Phantom limousine in Los Angeles today. Visit Los Angeles Limousine Services and ask for a quote. Areas served by Phantom limo rentals are Oxnard, Ventura, Riverside, Calabasas, Santa Barbara, Malibu, Agoura Hills, Burbank, Glendale, Pasadena, Santa Monica, Long Beach and Sherman Oaks. LA Limo is all about providing the best professional ground transportation no matter where in Los Angeles. They have a fleet of luxurious vehicles to choose from and certainly there is a limo and luxury car rental no matter what special event you may have. Expect nothing but class and fun You will absolutely have the most amazing night when you rent a Rolls Royce Phantom for your night on the town. You will have the most thrilling transport service ride from the airport or a ride from the office to your corporate event. Feel like a superstar when you rent a Rolls Royce Phantom limousine service as you visit Los Angeles. You definitely deserve nothing but the best in LA.